William de Lange studied Japanese language and culture at the universities of Leiden and Waseda, and has translated and written extensively on Japanese cultural topics. 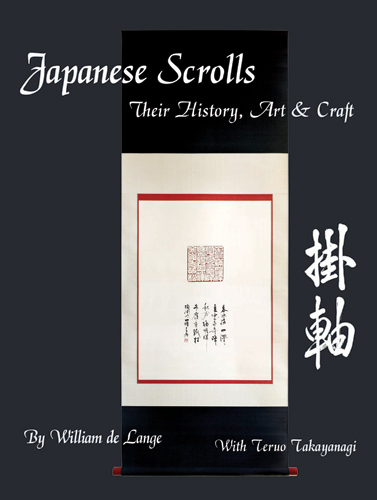 In addition to researching the art and history of scrolls, De Lange had the opportunity to serve as an apprentice to Teruo Takayanagi, a master scrollmaker from Mobara, Chiba prefecture. Takayanagi apprenticed under his father and went on to receive numerous honors, serving as chairman of the Chiba Picture Scroll Makers Association from 2000 until his death in 2012.